I am pretty sure every post I have made in the last several months has started with either “Oh man, I haven’t written in SO long” or “I can’t believe how fast this year is going!” Both of which are true, of course, but it must be getting a little old. The truth is, I have been doing a lot of thinking, most of which I cannot blog about (seriously, I hate to be vague, but I would be at risk of quite serious consequences with some of it, I suspect!) But in and around that thinking, a few things have been happening in my life. My brain is not quite in the mode to put them into an eloquent story. So I’m going to go for the good ol’ brain dump of bullet points. The last two weekends we have been in BSB (Bandar Seri Begawan, the capital of Brunei). We had a couple of appointments, and I had a whole bunch of choir rehearsals and concerts that meant it was just easier to stay up there. And as an added bonus, we had a look around some new areas (Kiulap and Serusop). As part of our exploring, I found some restaurants recommended by a great Brunei food blogger, Thanis Lim. It was well worth making the effort to try these recommended restaurants, because Paddington House of Pancakes and Pondok Sari Wangi were both amazing. We also paid a visit to our old favourite Bistro Chez Fio, and found some great donuts and other baked goods around as well. Needless to say, we were pretty much always full! The concerts I was participating in were a collaboration between the Panaga Singers and the Serunai Singers (a choir from BSB). We sang a programme called From Gershwin to Gaga, which was a mix of jazz and popular music, and was a lot of fun. Had I been a good blogger, I would have advertised it so you could come for a listen. But obviously that didn’t happen. I had forgotten how much hard work choral singing could be. But it really is my musical home, and I loved it. I have started taking Bridge lessons through the Panaga Club. It reminds me of the good ol’ days of endless rounds of Five Hundred at school lunch times. But with way more rules/conventions, which makes it both easier and harder. The group I’m learning with are good fun, and it’s a good way to spend a Monday morning. 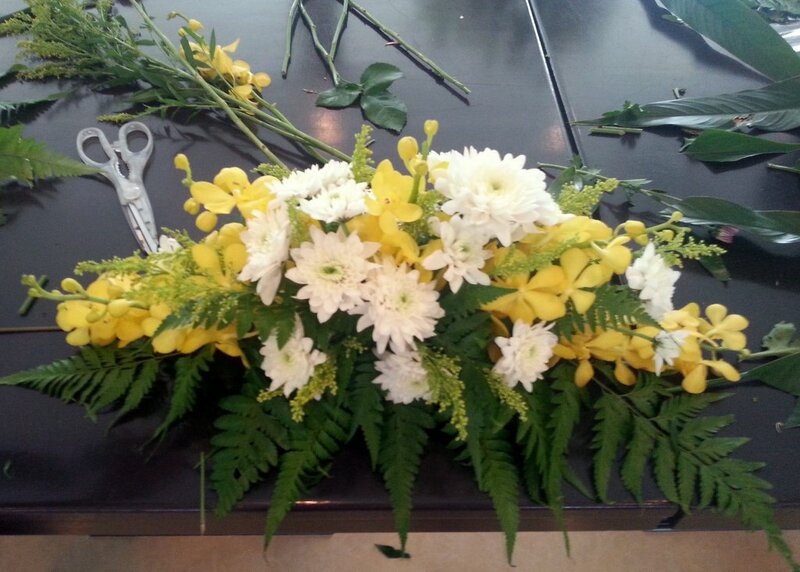 I also did a flower arranging workshop at the Club. I wasn’t expecting much, to be honest, but I ended up having a great time. And I think my arrangement turned out pretty good! We are currently in the process of planning a visit from my Dad and Step-Mum over Christmas. We are not sure yet what the plan is, but we’re hoping to do lots of Borneo exploring, and other such fun things. Now that it’s practically November, we should probably actually look a bit more seriously at making some plans! 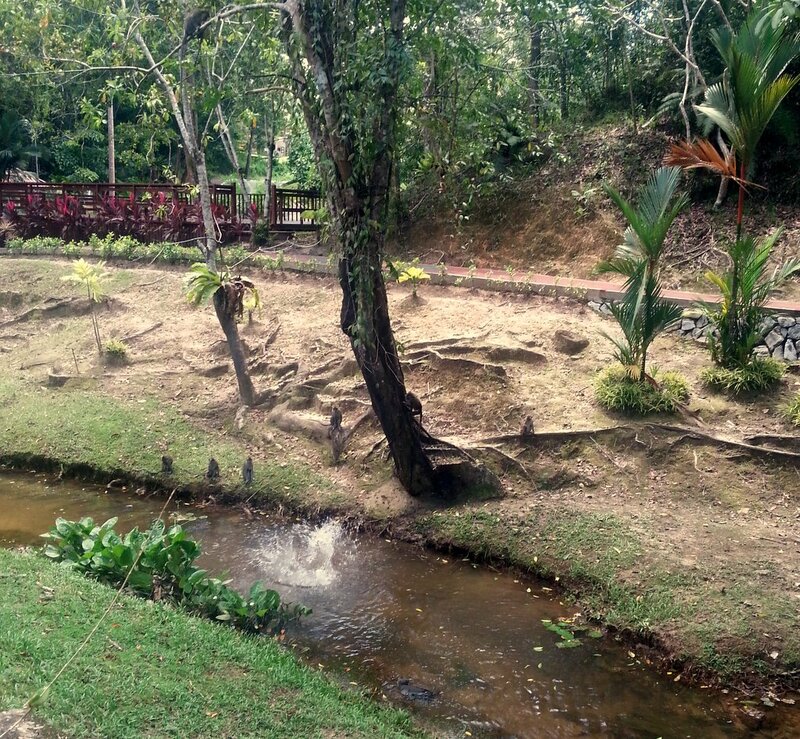 We visited Tasek Lama in BSB for the first time, and had a lovely warm walk and then sat and played cards for a while. As we were leaving, we heard some weird splashes, and came across a group of macaques having fun at a swimming hole. I suppose this probably isn’t all that unusual, but I thought it was hilarious. It made my day. The monkey bomb competition winner. 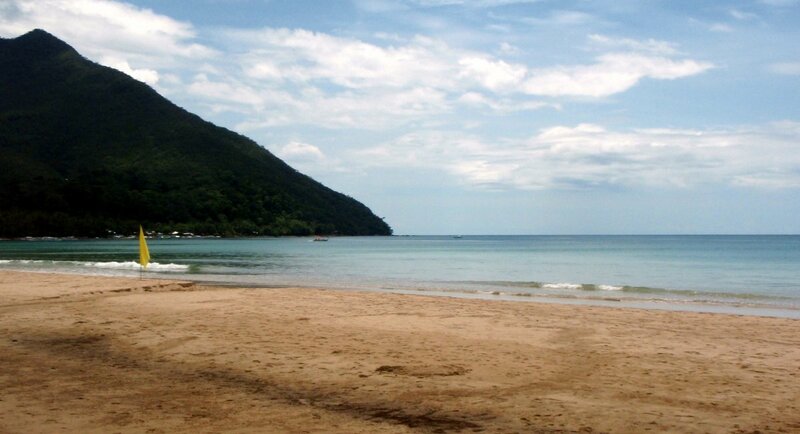 Last weekend we visited Serasa Beach for the first time (to find out more about doing a SCUBA diving course). It was a perfectly sunny day, and it was just beautiful. We have fallen way behind on our challenges. But I have a couple to write up, and a couple more in mind! Starting on Friday, I am planning to participate in NaNoWriMo. This means that over the next month, I am hoping to write 50,000 words on my novel (yes, I’m a NaNoRebel, continuing a current story rather than starting from scratch). I am not sure whether it will happen, and in a lot of ways I’m not worried if it doesn’t. But there’s a chance I’ll have a first draft in just over a month! Last weekend in BSB I had a day all by myself (which might not seem too different to my regular life, but it felt a bit different), so I did an extended artist date (from The Artist’s Way by Julia Cameron, which I am working through at the moment). 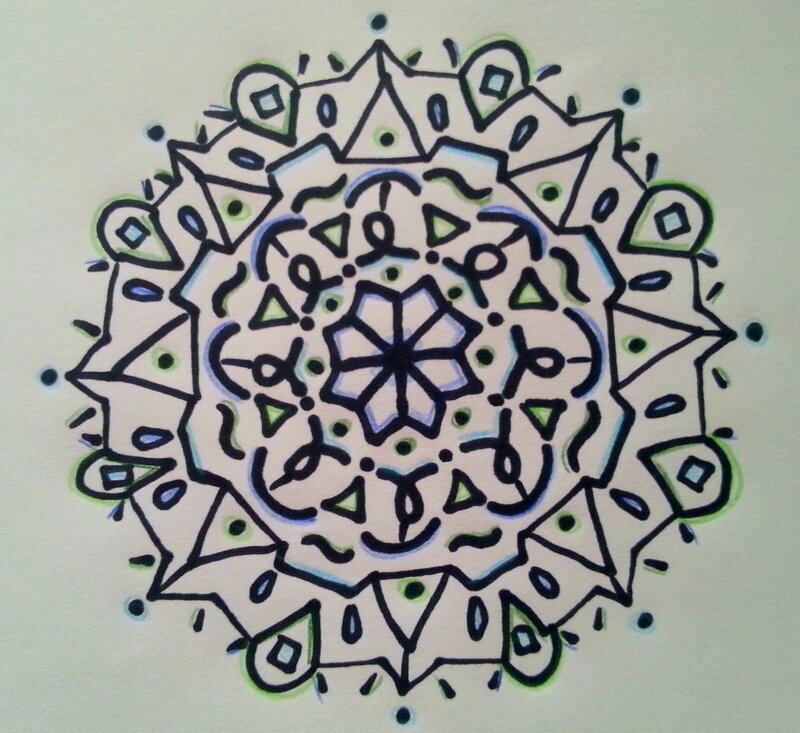 I did some planning and outlining for my book, I made a collage from a magazine, and I drew mandalas. I also ate Japanese food and donuts, and had a little look around a mall while I was buying supplies. I (surprisingly) didn’t get rained on in any of my walks. Basically, it was a wonderful day. We also played tourist and visited the Royal Regalia Building. It is huge and impressive, and just a little bit weird. It was filled with cruise ship passengers, and I felt like we were in a different country (you don’t see that many tour groups around). I have done a bit of shopping lately. 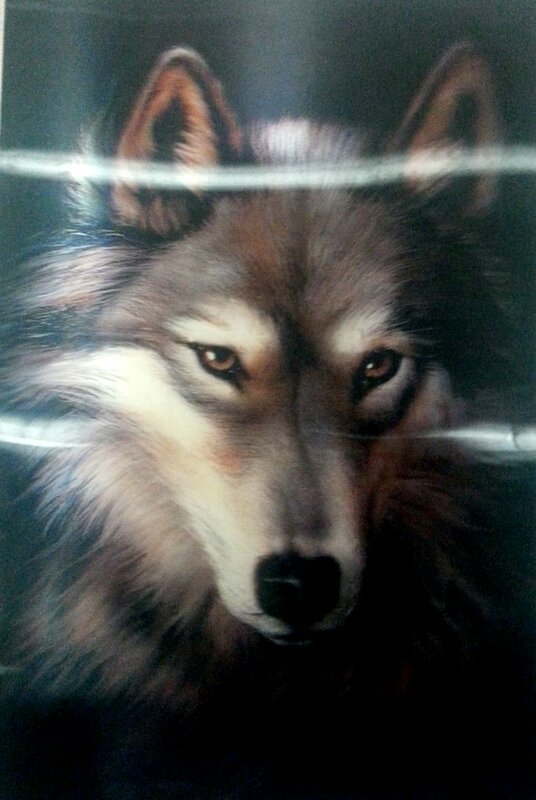 My favourite purchase is this poster. It’s 3D, which makes it hard to take a photo of. It’s totally ridiculous, and I totally love it. I am truly in catch up mode on this blog at the moment, and I want to capture all the holidays we had over the Brunei “summer” (most people here are from the Northern Hemisphere, so the big holiday for the schools is in the northern summer. The season is not really any different to any other year, and July/August will never seem like summer time to me, but that’s what I’m going to call it anyway). I talked already about my trip to India with my sister. 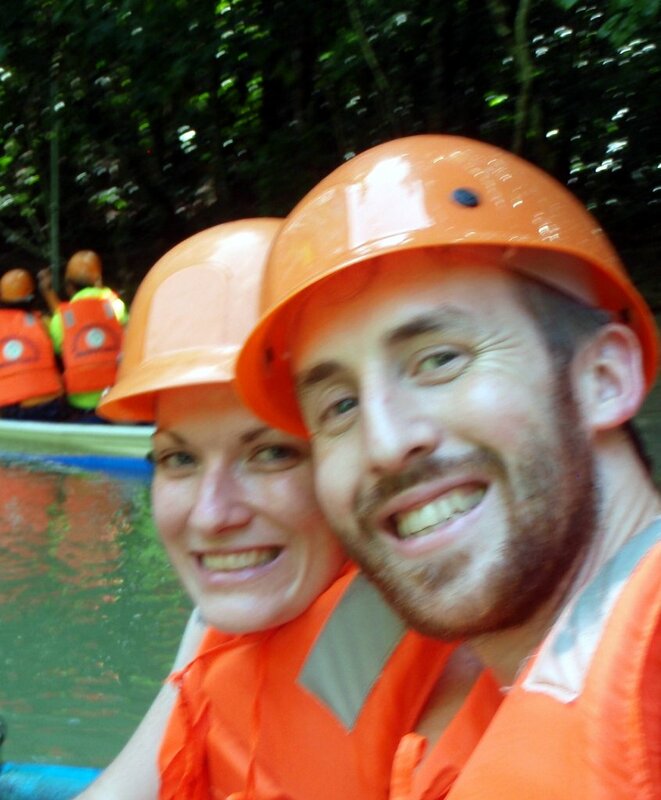 And I’ve previously mentioned that just a couple of days after returning from that, we flew out to the Philippines with a group The Engineer knew through work. But now I want to talk a bit more about that long weekend in early August. We had a holiday because it was the end of Ramadan. And what I really mean by that is The Engineer had a holiday (because, to be honest, I have a constant holiday). So we decided to tag along with this group on a trip. We wouldn’t necessarily have picked the Philippines, and we definitely wouldn’t have known where to go within the Philippines, so it seemed like a great opportunity to try something new. And as soon as we did a google image search of Palawan, we were sold. Because it was a group trip, with a group we didn’t know all that well, we weren’t too involved in the planning. We probably wouldn’t have chosen to include quite so many flights in our four day trip, but we were happy to roll with it and just take things as they came. Unfortunately, just a couple of days before we left, I came down with a nasty cold. I spent a couple of days stocking up on vitamin C and resting to try and get it out of the way. But when it came time to leave, it was still sticking around. And the fact that we left from Brunei at 2:30 am, landed in Manila at 4:30am, and flew out of Manila to Puerto Princesa at 8:00am, arriving around 9:30am, did not help matters. By the time we landed, I was exhausted, and had practically lost my voice. I was actually quite grateful that it was a 2 hour drive to our accommodation, because I needed a rest! The roads only allowed me to sleep for about half the time (bumpy bumpy), but I was okay. 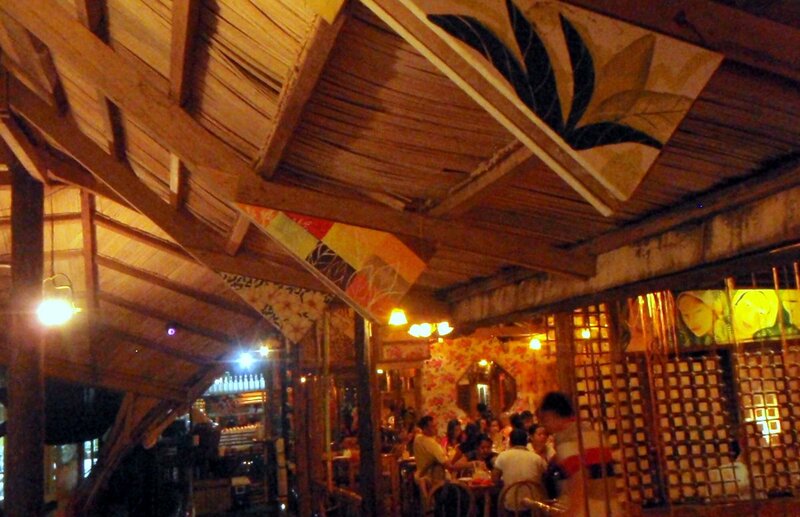 Our first night was outside Puerto Princesa town, in a lovely resort. 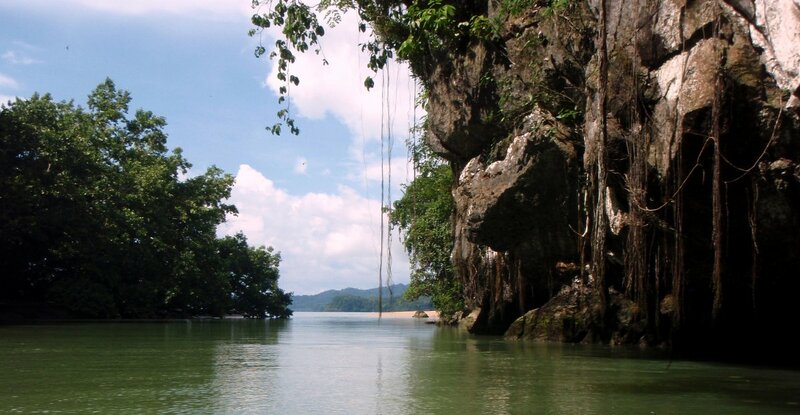 We visited the Underground River (which was beautiful, but not quite as impressive as it sounded in the guide book). And other than that, I pretty much spent the whole time sleeping and drinking fresh juice. My cold was peaking, and I just could not handle being around people I didn’t know. The Engineer did some ziplining and exploring with the rest of the crew while I read lots and lots of books and rested my little heart out. Ready to head into the Underground River. You can probably tell that I am sick as a dog. But the real highlight of the trip was when we headed out to Coron (another flight, but one that was well worth it, even though my ears were still blocked and the pressure changes were not at all fun). 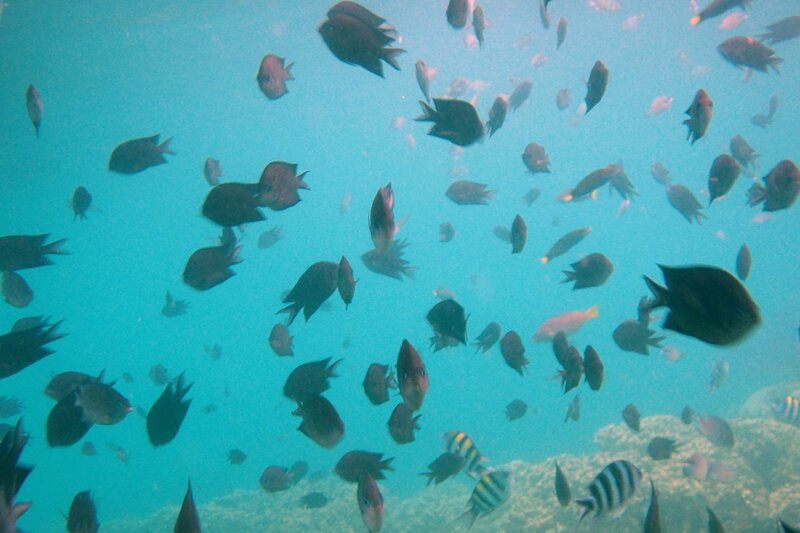 And while there we did what everyone goes to Coron to do, we explored the amazingly clear and beautiful waters. We did it by snorkel, as we are not (yet) licensed to dive, but some some people from our group did diving, and said it was amazing. Our snorkelling was an organised tour. Tours are not usually my style, but there didn’t seem to be any other way to get there really, and it was cheap, and amazing. They took us to five different sites. Three were for beautiful coral reefs and fish, one was for a truly beautiful lake with caves and rock formations, and one was for beach relaxing. The beach one got a little washed out by the rain (as did most of our evenings in Coron), but the rest of them were filled with warm clear water, and so much to explore. The Engineer and I were the only ones from our group who went out without lifejackets on (weird, right? 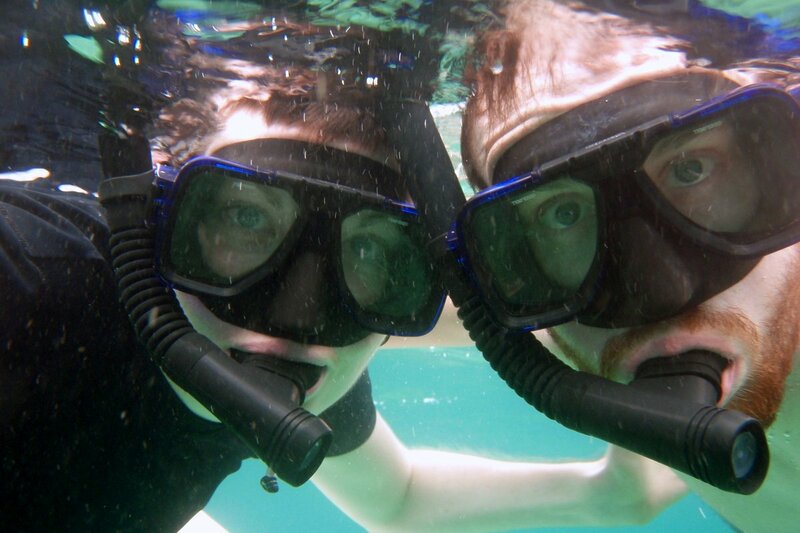 ), so we strayed far from the group and he taught me how to dive under with a snorkel on (and not breathe in any water). I had great fun diving down and seeing more of the bright corals and fish. When we finished the day we were exhausted from all the swimming, excited by what we saw, and convinced that we had to get SCUBA certified. We were also speaking with way too many superlatives and too much frilly language. Because, to be honest, we just couldn’t figure out a way to explain it. I still can’t. The rest of the time in Coron we spent wandering around the town. We visited the thermal baths, had some delicious seafood meals, tried halo halo, had more massages, and just generally got to know the group we were with. It was a little bit tricky, because we were the only ones who didn’t speak Mandarin, but they were a great group, and we had fun. It helped that my cold had pretty much disappeared by the time we reached Coron. 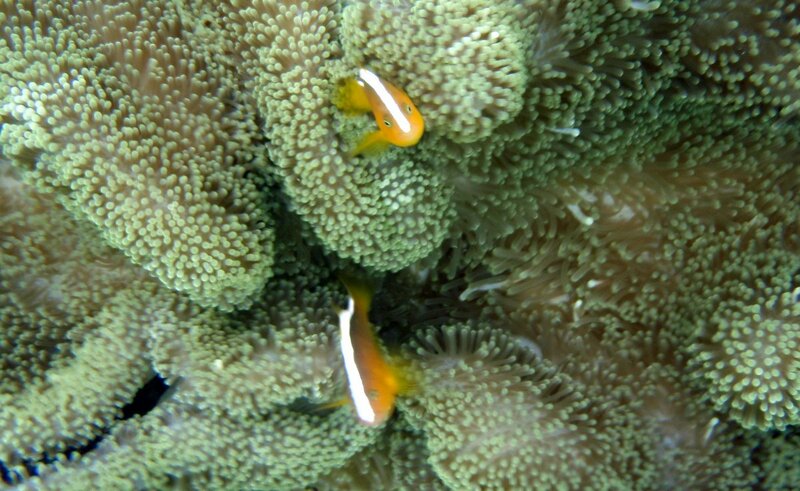 Fish and coral. Our underwater camera does not do a great job at capturing the awesomeness. And basically no sooner had we got there, we had to leave again. That is the unfortunate nature of a long weekend holiday. 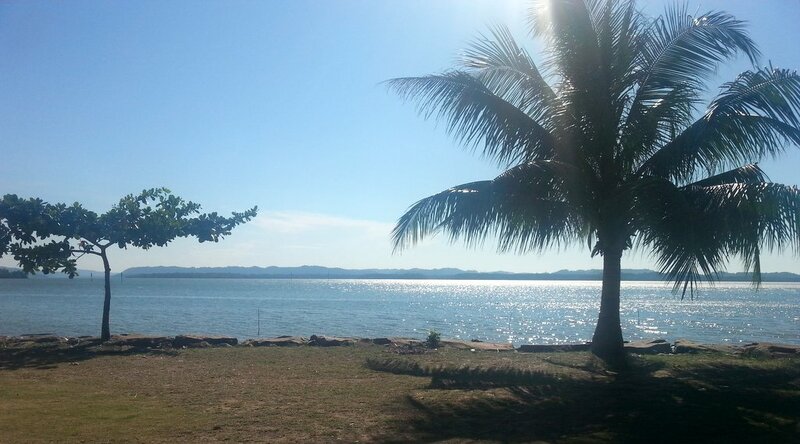 But Palawan was a great place to spend the long weekend. And our trip was a great taster for somewhere to which we plan to return. I have been just a wee bit behind on blogging over the last couple of months. But I’m trying to catch up now, so today we’re going back in time a couple of months to mid-July when I left for my trip to India. I blogged about it when I was on the way. Then we skipped forward to getting home. Today is for filling in the blanks. 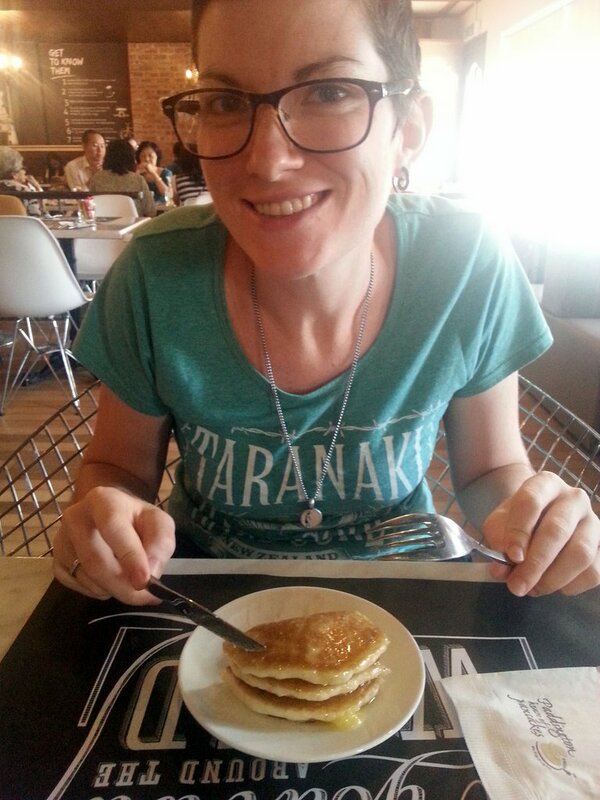 This holiday came together when my sister had a slight change of travel plans, and ended up with some alone-time. She suggested a trip. I immediately agreed and suggested doing some yoga. 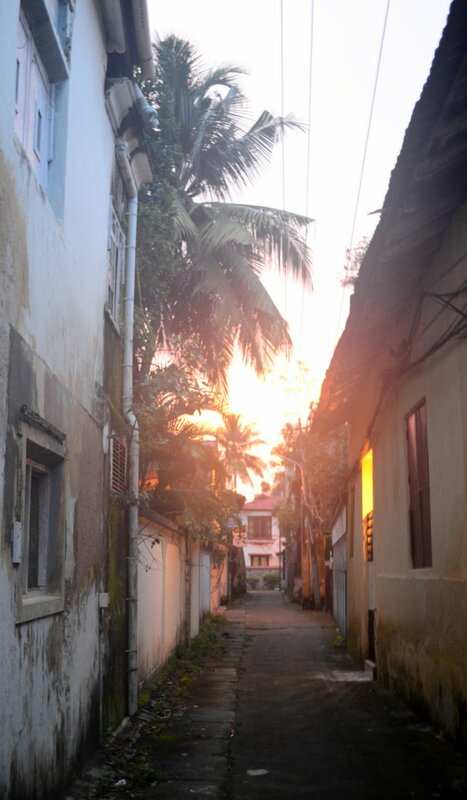 We researched and planned and found cheap flights, and soon a plan was born: two days in Fort Kochi, a week at a yoga retreat, then five days free time before we flew out again. First up was Fort Kochi. We met there at a rad little guest house, and spent a couple of days basically just wandering around and chatting. We tried a little bit to avoid the rain, but we pretty much failed. It wasn’t cold though, and we managed to find little nooks and crannies to hide from the worst of it. We had umbrellas, but my sister lost hers when we visited a small local restaurant for Veg Thali. She lost track of her umbrella when one of the local patrons invited us over and tried to hand feed her some Biryani, and when it came to leave, we were so distracted by the delicious yellow pancakes with coconut filling that she plain forgot to grab it. Fort Kochi is a tourist area, and we were disappointed to find that there was not much Indian food. Most of the recommended restaurants in our guide book were western, and the one hope we had for great South Indian food was unfortunately closed. But the Thali and Kaati rolls at Dal Roti made it well worth a visit (we went twice). Another pleasant surprise on the food front was a little snack bar called Chai Kada. It had only just opened, and we were some of the first customers. We spent a rainy afternoon enjoying bottomless coffee, assorted snacks, and great conversations. 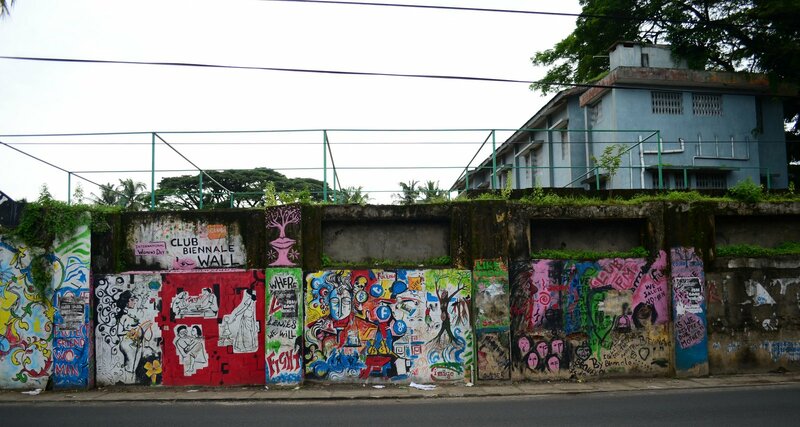 Once we had looked around Fort Kochi, we wandered down to Mattancherry. We passed through the spice centre and the more industrial areas, and enjoyed watching people live their lives. 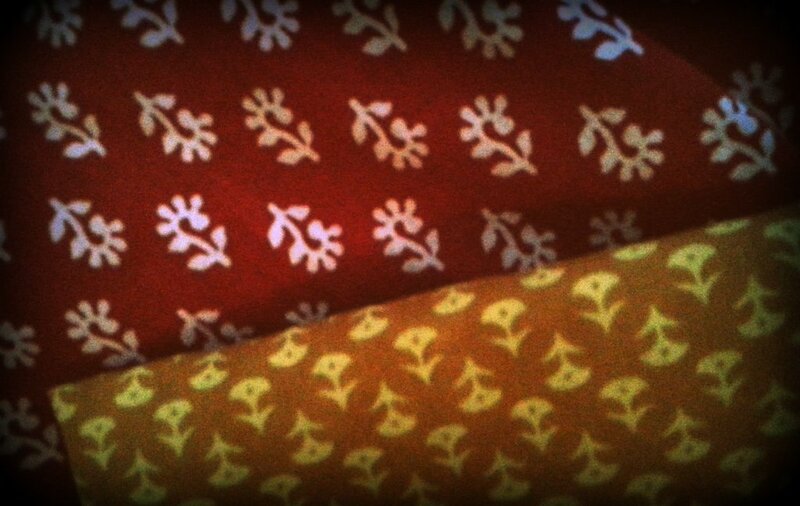 The old men in dhotis and women in beautiful saris gave us some slightly odd looks as we walked past. The auto-rickshaw drivers constantly offered us rides and sight seeing tours. We wandered, took photos and chatted. We noticed just how many rad looking guest houses there were in Fort Kochi, and we found an awesome fair-trade shop that would fill our water bottles (I always feel guilty about the amount of plastic consumed by buying bottled water, but in India in Monsoon it’s just an essential). 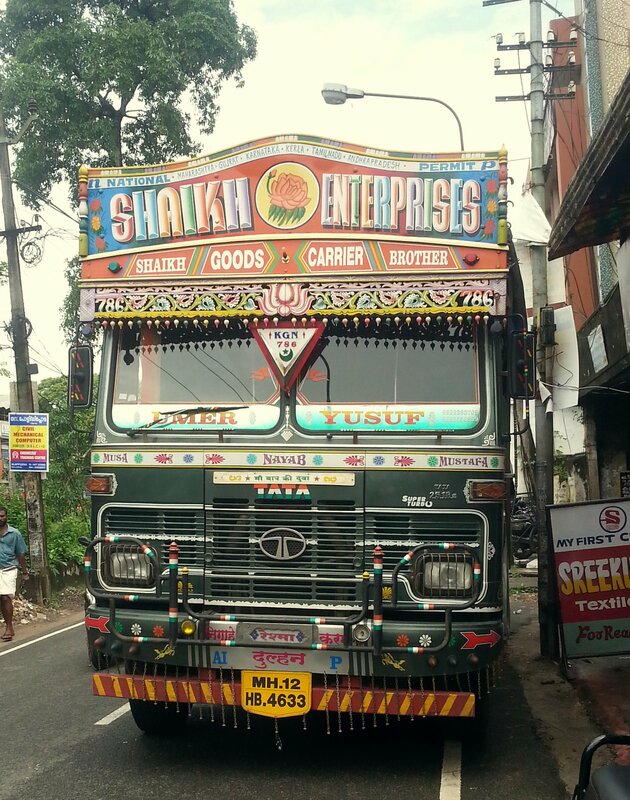 After a couple of days in Fort Kochi, we boarded my first auto-rickshaw, and my first Indian bus to take us on the journey to Munnar. Apparently it’s only 128 km, but it took 5 hours on the windy roads. We were lucky that the rain held off for the most part, and we were able to enjoy the view. The buses don’t have windows, just shutters, so when it’s all closed up it’s a bit dark and miserable. The journey was surprisingly comfortable, and gave us some amazing views. I wish I could have taken more pictures, but it’s just impossible to capture how amazing it all was from the bus window. 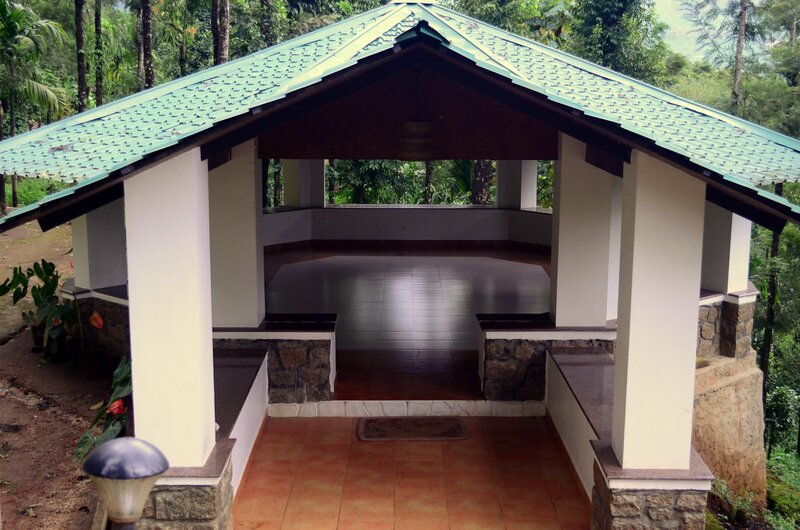 Eventually we arrived at Kaivalyam retreat. My sister has a far better summary of our time there than I can be bothered writing. But basically, it was awesome. The yoga hall is just the best. The food was great. The yoga was relaxing, but strengthening. The people were lovely and we had loads of time to read our books. We had no internet, and it was pretty much constantly raining, so we just holed up and relaxed. 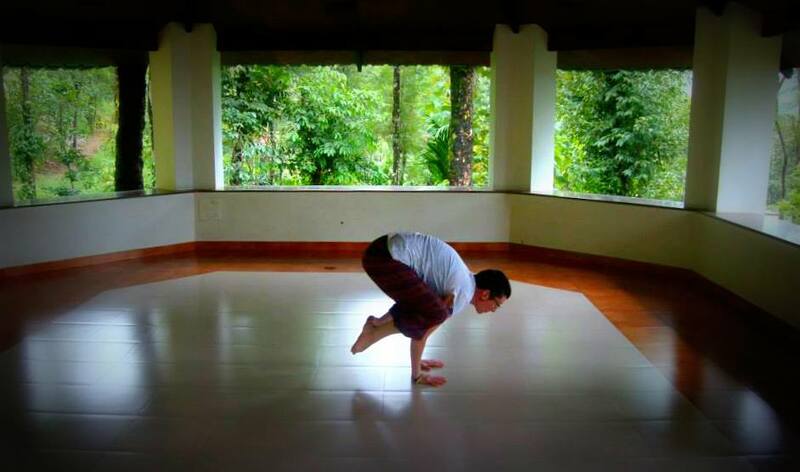 At the end of the week, I did my best Crow/Bakasana pose ever, and felt pretty chuffed with myself. After the retreat, we had no official plans. 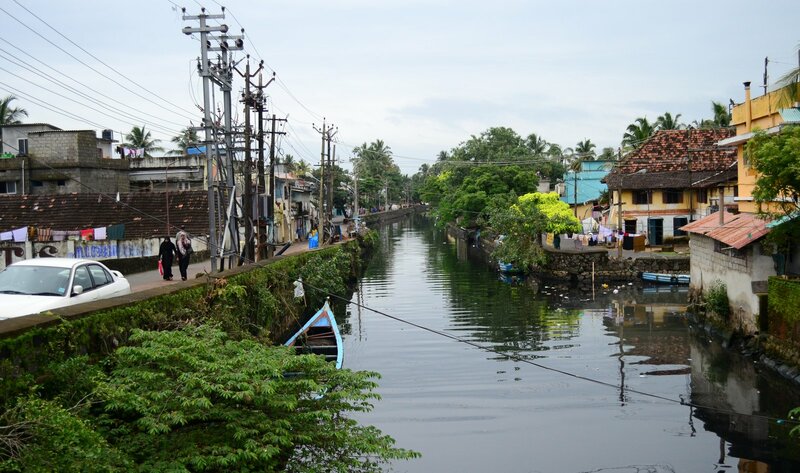 But when we looked at the options around, we decided the best idea was to head to Alleppey and see the back waters. They are, after all, one of Lonely Planet’s top 10 to do before you die. There are many popular ways to see the backwaters. But we were pretty much all relaxed out, so we chose to skip all the luxury and take a local ferry for the grand price of 14 Rs (about 30c). 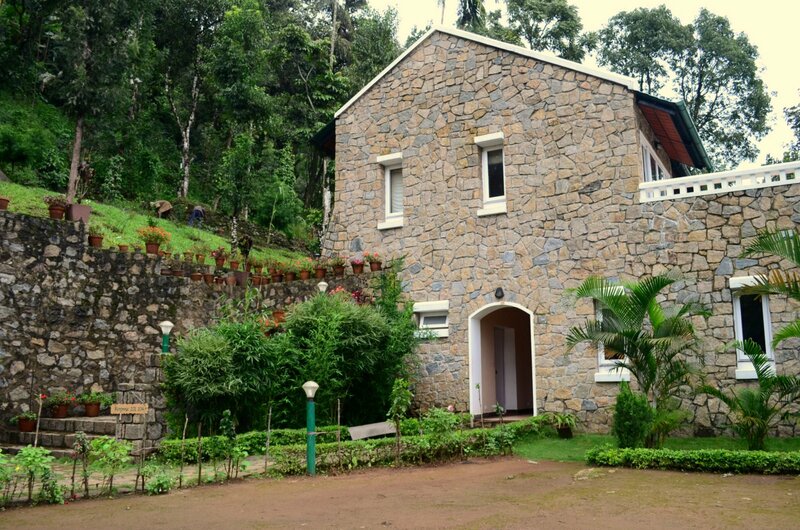 We also stayed in the cheapest guest house of our trip, at 300 Rs ($5) per night, for both of us. This meant that Alleppey was the cheapest part of the trip. While we were in Alleppey, we discovered the greatness that is Indian Coffee House. It is cheap and delicious and has great breakfast options (Egg Roast was my favourite – I first tried it in Kerala, and it has since become a regular part of our home breakfast rotation). And the best part? It’s a co-operative set up in the 1940s and owned by the employees (who have retained some of the amazing headpieces from the time). 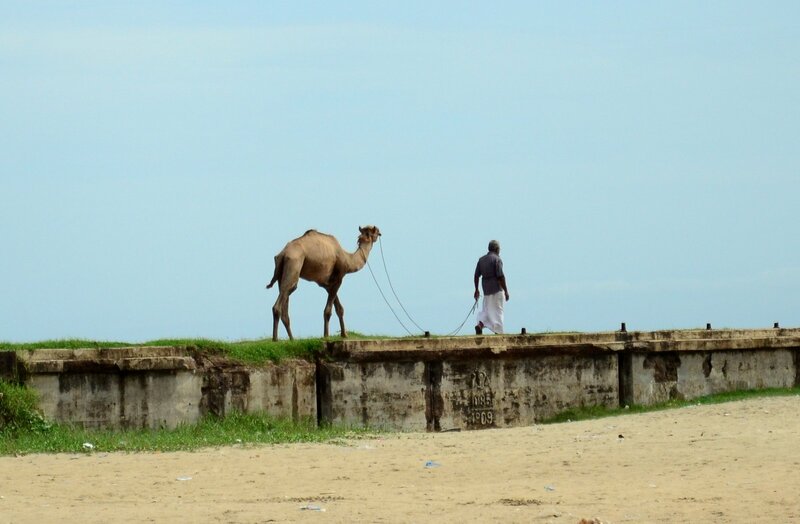 We also visited the beach, and said no to camel rides, bought clothes, and wandered around seeing how people live. We had a lovely time, even if it wasn’t the typical Alleppey-tourist experience. 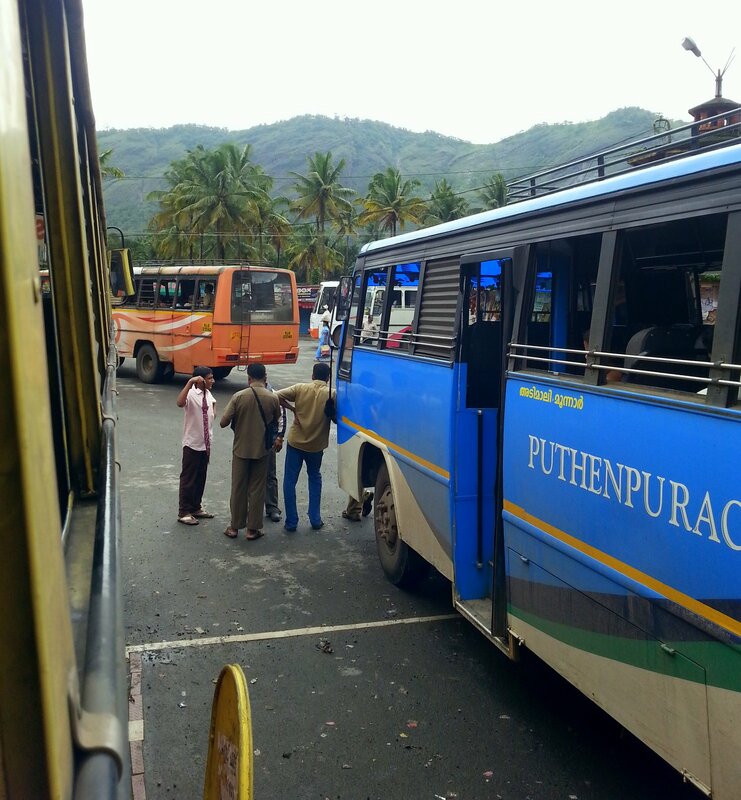 Finally, for the last couple of days before our flight out, we headed back to Kochi. We hadn’t been wowed by the Fort the first time around, so we decided to give Ernakulam a go, and were pleasantly surprised. We stayed at a hotel that was a little more than we wanted to pay and didn’t have Wifi (which didn’t seem to be popular among the cheap hotels there). But it was a 24 hour check out. And since we checked in at 6:45 pm, we had all day on the day of our flight – I wish everywhere worked that way! The hotel was right near the Indian Coffee House (score!) and a lovely waterfront walkway. We found a great Pure Vegetarian restaurant in town, and ate Aloo Chaat (another of my favourite discoveries of the trip). We visited countless markets. We had a mall day, which was wonderful – there was a great supermarket, all sorts of interesting shops, and an amazing food court, where I could get a Nepalese Momo burger. 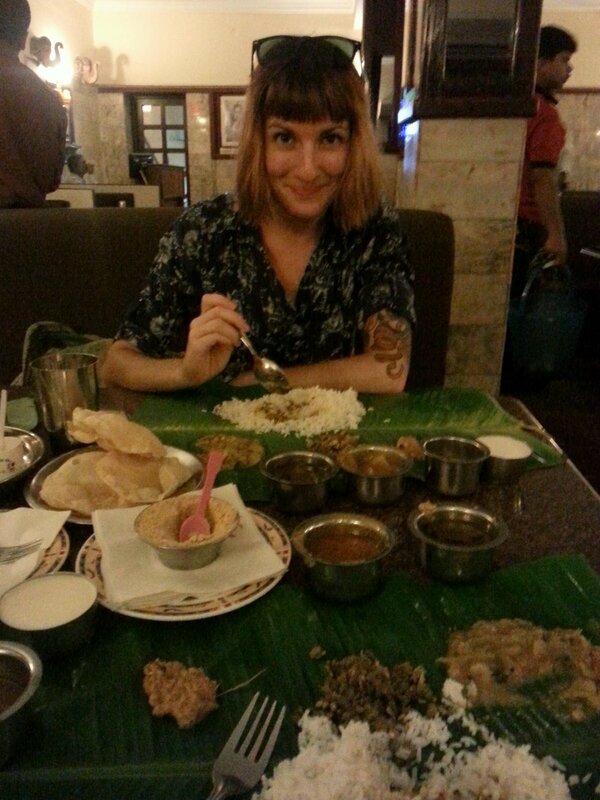 We ate banana leaf meals at a fantastic restaurant. We concluded that Ernakulam is way underrated. Sure, it may not have the tourist attractions of Fort Kochi. But it has a whole lot of real Indian life, which I have to say I found a lot more interesting. In a lot of ways, we didn’t do much. But we discovered South India. We talked to people and each other. We ate some great food and some interesting food. 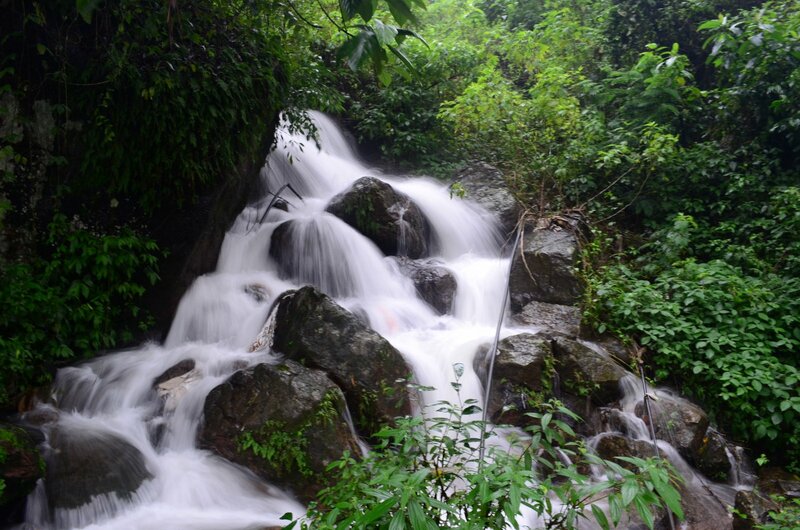 We saw the monsoon, went out in the monsoon, and lived the effects of thr monsoon. We relaxed and moved at a nice pace. We rode on buses and saw so many towns. We shopped and ate and learned and had an all round great time.